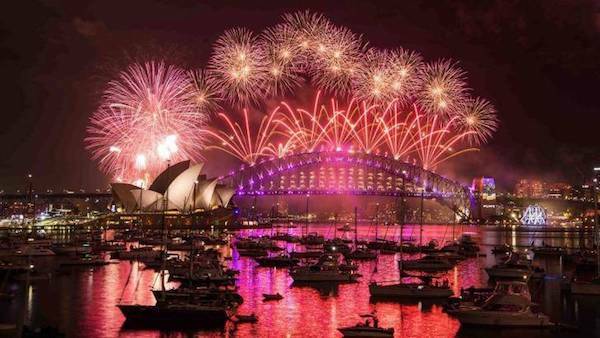 *I've already secured my ticket for New Years in Sydney 2015! Have you got yours yet? For those with young children who plan on coming down to check out the fireworks, there is a 9pm show that is put on specifically. 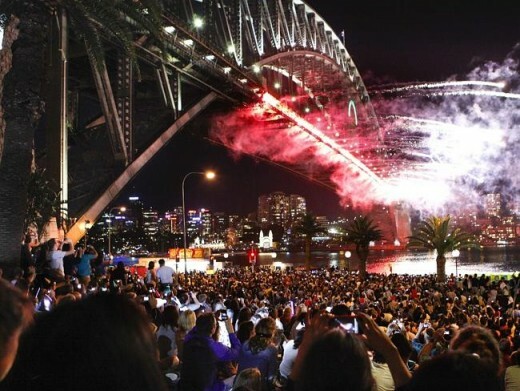 Of course the New Years Cruises also cater for this 9pm fireworks show but we realise that for many families, especially those with younger children, hiring a boat or buying a ticket on a new years eve cruise is simply not a viable option. To those parents we say, take your family and enjoy the show... and then next year dump the kids with grandma and book your cruise for New Years 2016! So with that in mind, let's take a look at the best places to watch the 9pm family fireworks - and more importantly, why they are so family friendly. Technically we've already established that the best place to watch the fireworks this new years eve is from the comfort of a chartered boat, cruising the harbour with front row seats to the best new years eve fireworks show on earth! 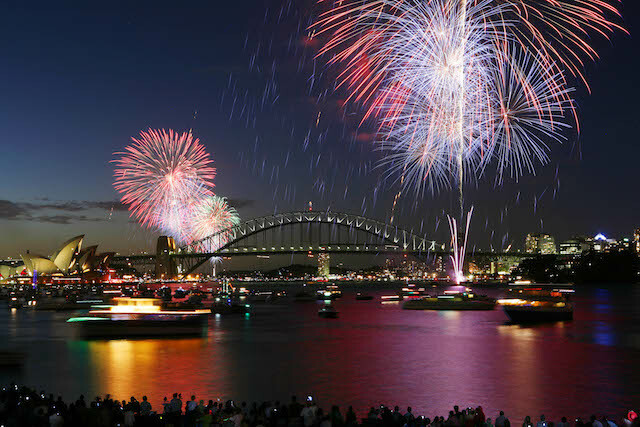 But since these cruises are only available for the midnight festivities we here at Anyboat thought we should list the best places to watch the other fireworks show, the family friendly one held at 9pm. So here are the 7 Second Best spots to watch the fireworks, and the most family friendly spots we know. All of these spots are Alcohol Free areas and most provide grassy areas on which to setup 'camp' or 'picnic' as seems to be the case. Also keep in mind that although the fireworks show begins at 9pm, you would need to arrive by no later than 5pm if you wanted a semi-decent vantage point. 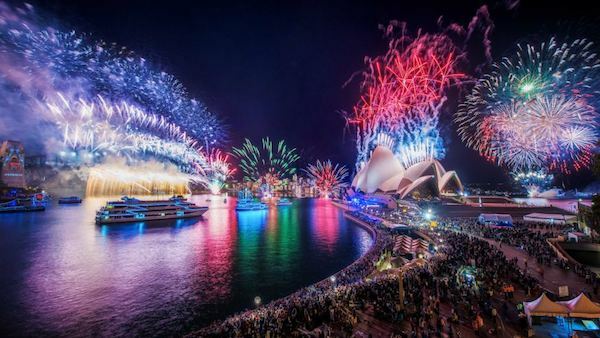 The Sydney Opera House and surrounding area is the perfect place to watch the fireworks from - if you don't mind sharing that view with a million other people! 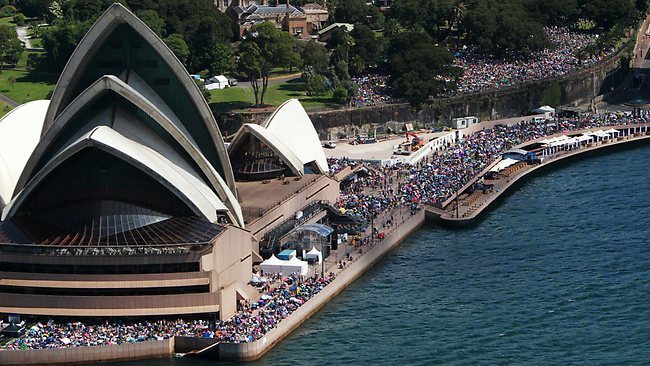 Sydney Opera House and Bennelong point holds around 7,500 people, although as midnight approaches expect that number to double. If you want a decent spot then we recommend getting there very early, like mid afternoon sort of early! With uninterrupted views across the entire city and a birds eye view of the harbour and surrounding landmarks, it is little wonder that Observatory Hill is such a popular spot for families and revellers alike. With ample grassy areas and able to hold 7,500 people, it fills up very quickly and again the recommendation is to get there at least by 4pm. Blues Point Reserve in slightly calmer seas. Don't let the tranquility fool you though! 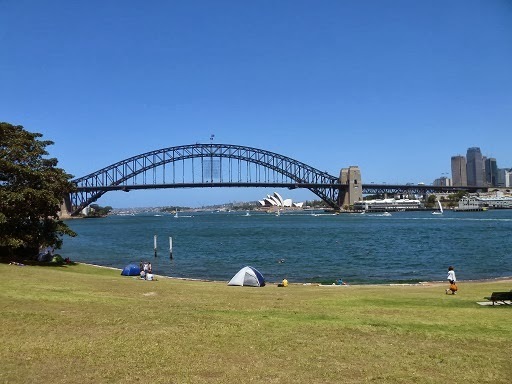 Located a short stroll down Blues Point Rd from North Sydney Station, Blues Point Reserve at the end of McMahons point is one of the more popular spots for families wishing to watch the 9pm fireworks show. With ample grass areas with which to lay a picnic blanket and able to hold around 12,000 people, it is little wonder why it is so popular. Add to this the almost uninterrupted views of the Harbour Bridge and Opera House and you are onto a winner. Bradfield Park is a HUGE expanse of grass land that exists under and to the east of the bridge. 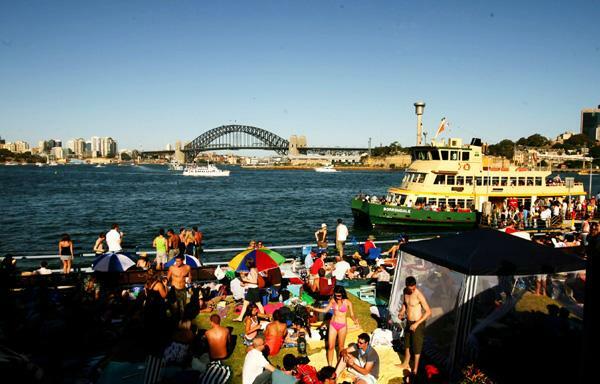 Located under the bridge on the Northern side, Bradfield park is probably the largest vantage point in Sydney with a capacity of just over 50,000 revellers. Bradfield Park provides wonderful views across the harbour to the Opera House and of course the Sydney skyline itself - a perfect place to watch the 9pm fireworks show. Bradfield park is located just 10 minutes walk from Milsons Point station meaning getting you and your family out after the show is over is equally easy. People getting a spot at Thornton Park in Balmain. You don't get much closer to the action than this! 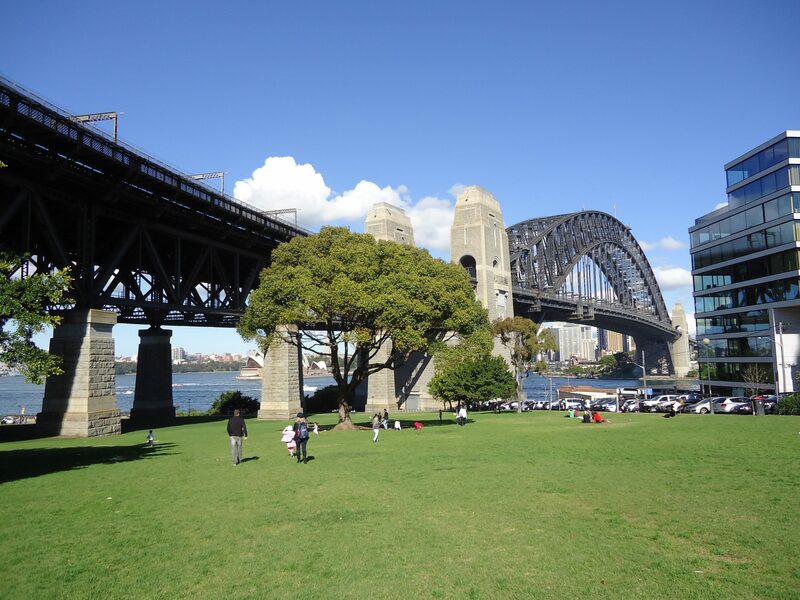 Dawes Point is the park opposite to Bradfield Park in North Sydney and equally impressive in terms of size and scale. With a capacity of 30,000 it takes longer to fill up and as such is one of the better spots to check out if you are rushing for time. Another advantage to Dawes Point lookout is that the bridge and fireworks are so close that you need to look straight up anyway - meaning it's almost impossible for someone to stand or sit in your way. 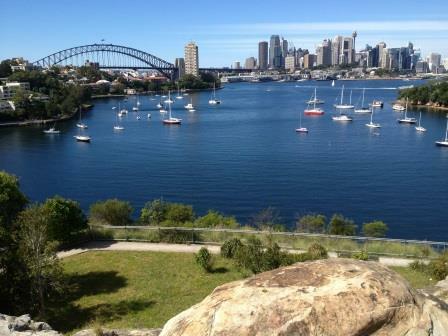 Located on Larkin Street in Waverton, The park, also known as Peninsula Park is a wonderful place to view the family fireworks. This spot only has a capacity of 1000 people so places do fill up quickly. This spot is particularly good for families because of its location, close enough to public transport and far enough from the city so as not to trap you when you're trying to get out after! Well there you have it, 7 of the best, sorry second best places to take your family so they can enjoy the fireworks this 2015 new years eve. Tomorrow I'll be taking a closer look at what an average new years eve entails and why choosing to enjoy a new years eve cruise is the best decision you'll make this year... and hopefully the last.